The LCO Group – Microsoft Solutions done *right*. Microsoft network solutions are the backbone of most businesses around the world today. They power devices ranging from small handheld devices to banking terminals to aircraft maintenance computers. Microsoft applications, such as MS-Office, are among the world’s most popular and best-selling software suites year after year. Let The LCO Group help you make the decision of whether a Microsoft product – and which one – is right for you. Are your Microsoft products running at their maximum potential? The Microsoft server products listed above are amongst the best selling server products worldwide. Our experienced network and server consultants have certifications in all of the listed products, and can help you manage, install, or tweak these systems to get maximum performance and increased reliability from your infrastructure investment. Why should your firm choose Microsoft products for your small business? Which one is right for you? A brief description of the most popular Microsoft products that our network engineers work with are described below. 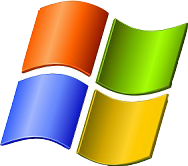 Windows Server 2008 is a multipurpose operating system capable of handling a diverse set of server roles in either a centralized or distributed fashion. Windows Small Business Server 2011 is an advanced IT solution designed to help you share and protect your data and maximize your technology investment. It allows you to run mail, web services, and file/print services all one one server. Microsoft SQL Server 2012 is a comprehensive, integrated data management and analysis software that enables organizations to reliably manage mission-critical information and confidently run todays increasingly complex business applications. You can manage a reliable messaging system with built-in protection against spam and viruses, while providing anywhere access to e-mail, voicemail, calendars, and contacts. Your people will appreciate the ability to stay in touch using a wide variety of devices. We’ll show you what you have been missing in an outsourced consulting firm.